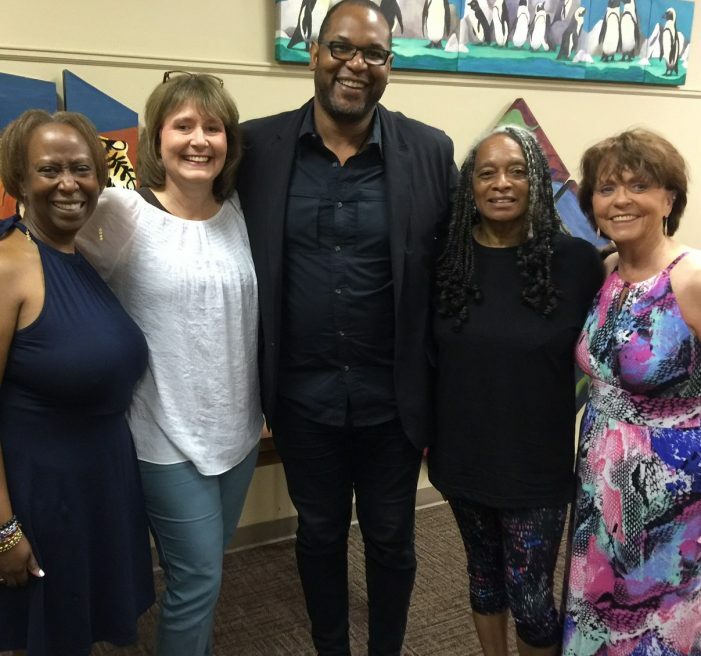 The Poet Laureate Committee received Dr. Drew Lanham recently for a sit-down, informational meeting. Pictured here are: his wife Janice Lanham, Laurie Prince, Drew Lanham, Pam Andrews and Nancy Cowart. Not pictured, Jessica Harris. When did you write your first poem? was a question posed to Drew Lanham recently when he met with the Edgefield Poet Laureate Committee. His answer was, at first, “a folded-up love note passed to a girl in the 3rdgrade.” Then he recalled that for Janice, his wife whom he met at Clemson as students, he wrote a sonnet – and other poems, one having been written on a leaf. Love stirred his poetic sensibility then, and most recently it is birds, for his latest publication is a Chapbook called Sparrow Envy. An accompanying article on the front page of the print edition of the Advertiser, this week, addresses his publications, including poetry (what he calls “clay seeping out” for he feels rooted in Edgefield clay), and the public will have the opportunity to hear and see him on Tuesday, October 2, 2018, at the Edgefield County Library, when the Town Council and the Poet Laureate Committee host an induction ceremony. More information on this event will be published closer to time.